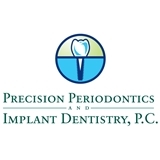 Precision Periodontics and Implant Dentistry, P.C. (Houston) - Book Appointment Online! Precision Periodontics and Implant Dentistry, P.C. Dr. Sarosh Dastoor is one of the few Board-Certified Periodontists in Houston, TX and he has many years of experience. His office is always welcoming new patients and would love to have you as part of our dental family. Dr. Dastoor is skilled at performing all periodontal and dental implant procedures. He has special training and expertise in performing dental implants, gum grafts, periodontal flap surgery, bone grafting surgery, and sedation dentistry. Dr. Dastoor obtains extensive continuing education so that he can provide his patients with the most advanced techniques possible. Our office is an In-Network provider with most insurance plans and we offer financing to help you afford the treatment that you desire. We welcome patients from Houston and all surrounding areas. We offer FREE consultations for implants.